Nature walks are at the top of my list when it comes to favorite activities to do with my kids. Not only do we get out in the fresh air, but there is just so much learning that takes place in the great outdoors! 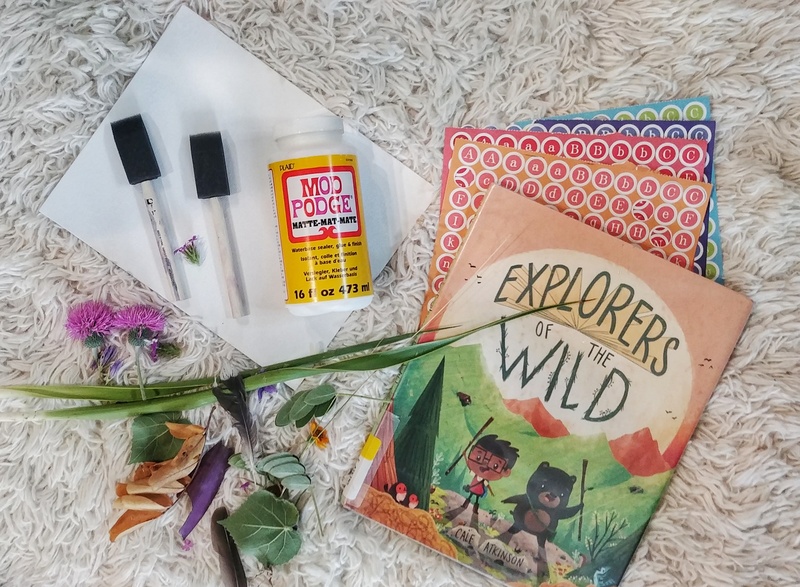 From observing and collecting, to processing and creative activities, there is so much that your kids can do during and after a nature walk. 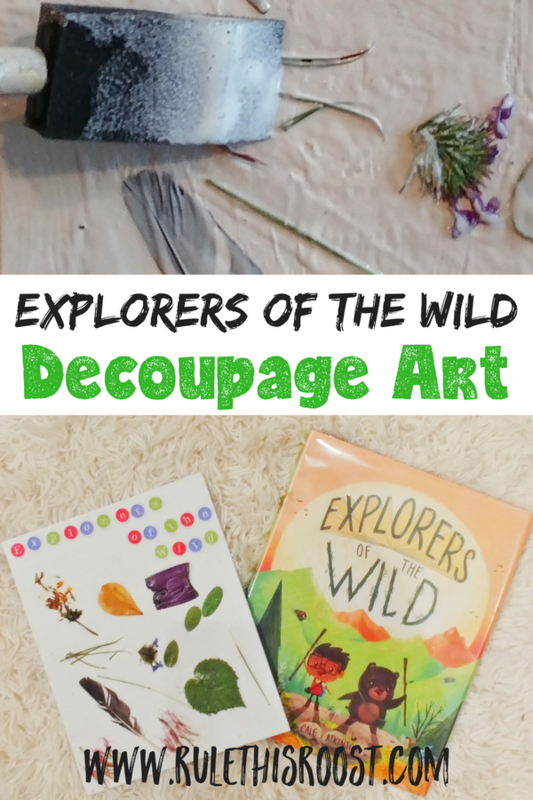 As part of our Nature Book Club this month, we read the amazing picture book, Explorers of the Wild. The book isn’t super long, which is great for younger kids. 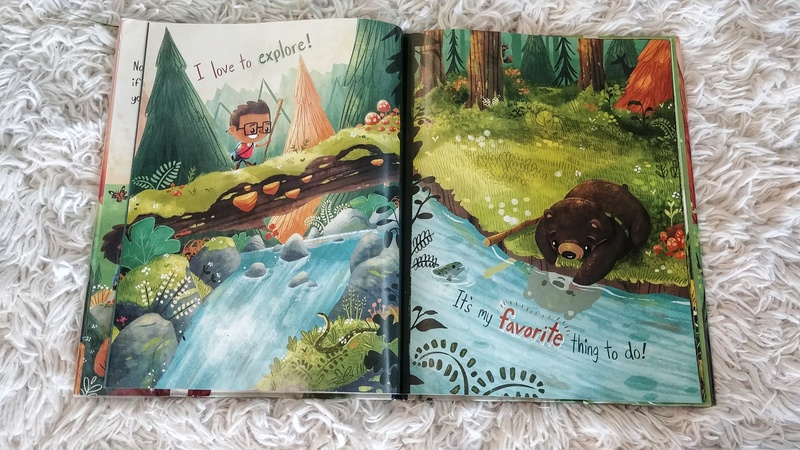 Explorers of the Wild takes a look at a boy and a bear who just so happen to BOTH love exploring. 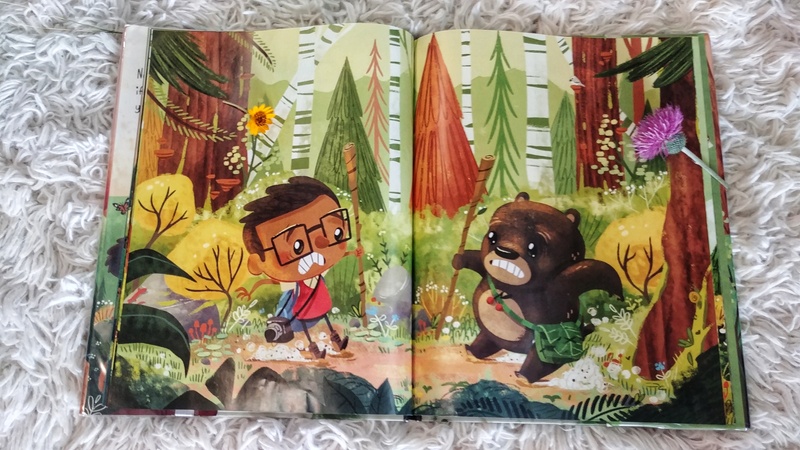 It has great illustrations that are engaging and can become a nature hunt in themselves! 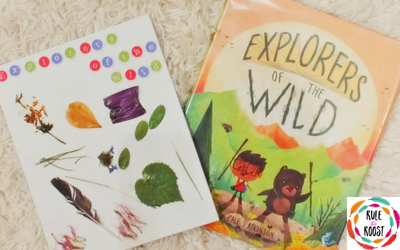 After we read Explorers of the Wild we set out on a nature hunt of our own. We were looking for flat things that could be put on our decoupage art piece. This was a great way to teach about the different physical attributes. When we found our flat items, we brought them inside and got to work making decoupage art. 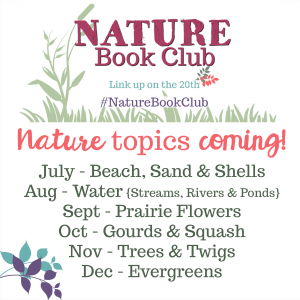 For more awesome nature walk activities, check out my newly released activity books for kids! 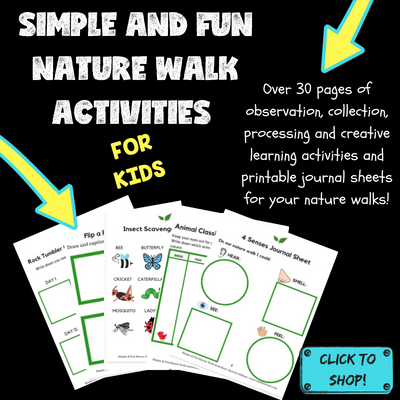 It comes with awesome printable sheets and FUN activities for your nature walks! 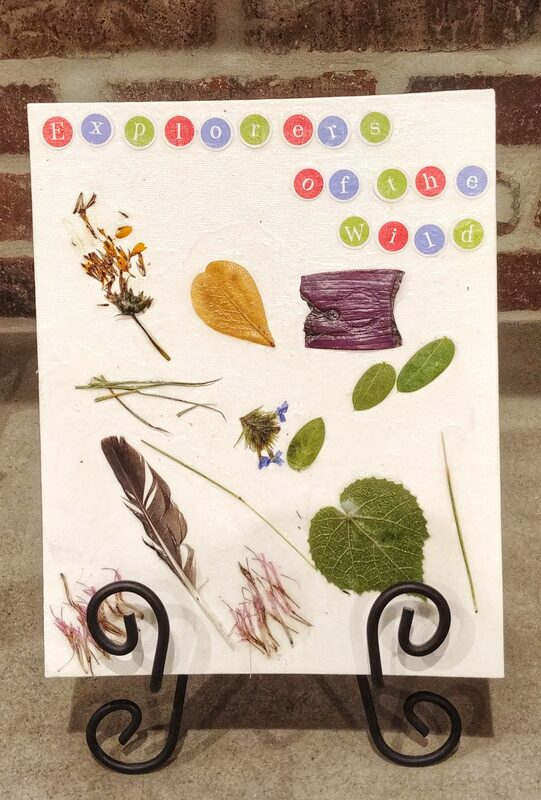 After we collected all of our nature loot, we brought it inside to dry it off because we went on our hunt in the rain! We used the rolling pin to flatten flowers that we had found. An iron would work best for this step, because it also takes out the moisture. If you use an iron, place the flower between two towels and then iron on low, without moisture. After we flattened the flowers, we got started on the decoupage. 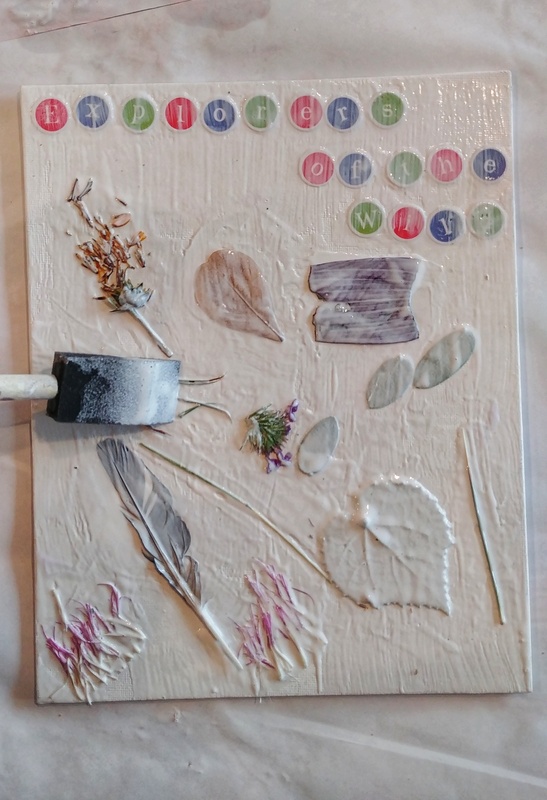 Use the foam brush to put Mod Podge on the area of the canvas where you want to place your items. Use the foam brush to put Mod Podge on the back of the item you want to place on the canvas. Place the item where you want it, and then dab a little Mod Podge over the top of the item, smoothing it out as best as you can. Allow the first coat of Mod Podge to dry. When all items are dry, you can do a final coat over the entire canvas. Our decoupage art pieces turned out really well. They truly capture our adventures in the outdoors and our love for nature. 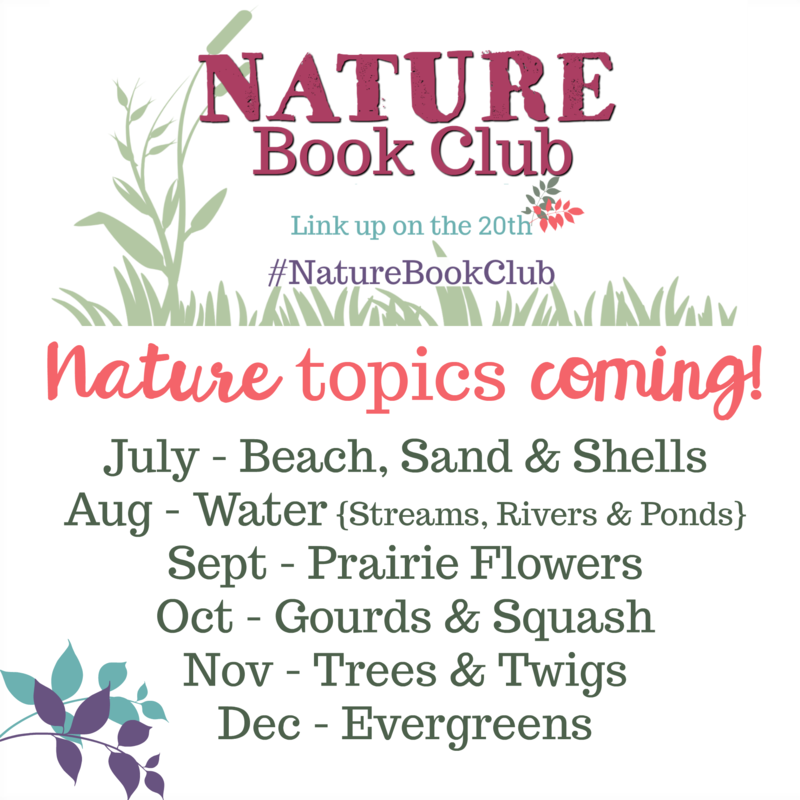 To see more awesome books and activities on nature hikes, check out our Nature Book Club link-up below!